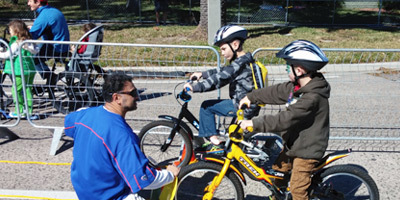 In May, the League of American Bicyclists gave Tampa an Honorable Mention in its Bicycle Friendly America (BFA) program. The program provides a roadmap, hands-on assistance and recognition for states, communities, universities and businesses. The BFA program is a tool to make bicycling a real transportation and recreation option for all people. It’s the combined knowledge of hundreds of engineers, government officials and bicycle advocates. It’s a toolkit of projects, policies, programs and plans designed to make biking better. It’s a roadmap for improving conditions for bicycling and the direct assistance to make it happen. The Honorable Mention means that with a few strategic improvements, Tampa is in a good position to earn Bicycle Friendly community award in the future.